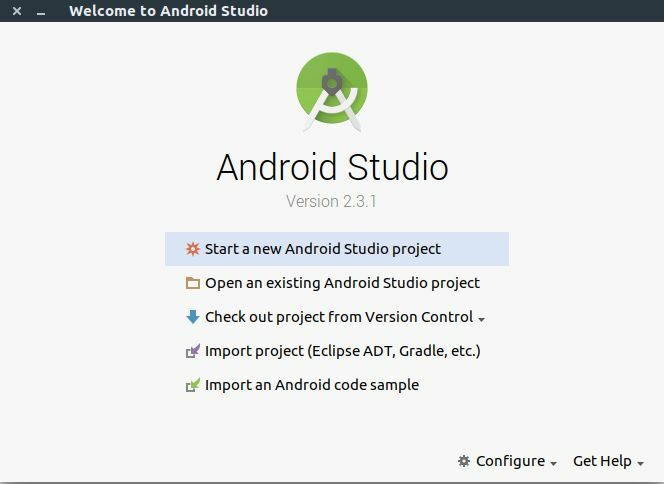 Android Studio is the official IDE for Android application development from google for Linux, windows and Mac OS. It is based on JetBrains IntelliJ IDEA and 100% free. It comes with gradle-based build system, android emulator, sample code templates and GitHub integration, Lint tools, C++ and NDK support, Google Cloud Platform support and Instant Run. NOTE: JDK 8 and later versions are required for installing and running the Android Studio . 1.Go to Android Studio download page. And download the android studio package for linux package. (here its android-studio-ide-162.3871768-linux.zip and android studio version 2.3.1.0). The default download location is Downloads folder in ubuntu. 2.Unzip the Android Studio file to where you wish to install the program.Here its Home Folder. To unzip it, right click on the downloaded file and select extract here option. 3.Open the command line tool Terminal and type below code in terminal and press the enter key. 5.Select second option if you don’t have a previous version of android studio and click OK button. 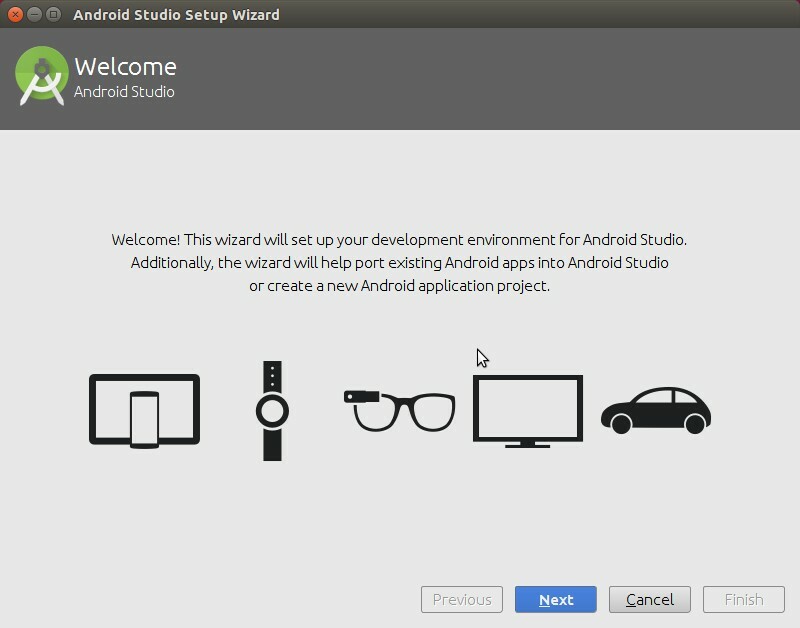 6.Follow all the steps, complete the Android studio setup wizard. During the setup, it will download and install Android Emulator,Android SDK Build-Tools,Android SDK Platform,Android SDK Platform-Tools, Android SDK Tools,Android Support Repository,Google Repository,SDK Patch Applier,Sources for Android. 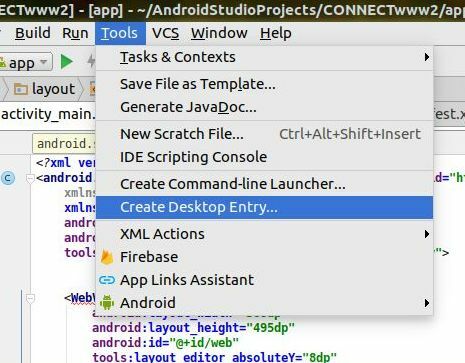 To create application launcher icon on the Ubuntu Dash for Android Studio, click the Tools menu and select the Create desktop Entry.. Some of the tools that are part of the Android SDK are only available as 32-bit binaries for Linux. If you are using a 64-bit system, these binaries will not run out-of-the-box and you get error message. 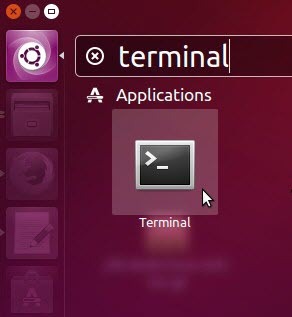 7.open terminal and type the below command and press enter. And try the installation process.